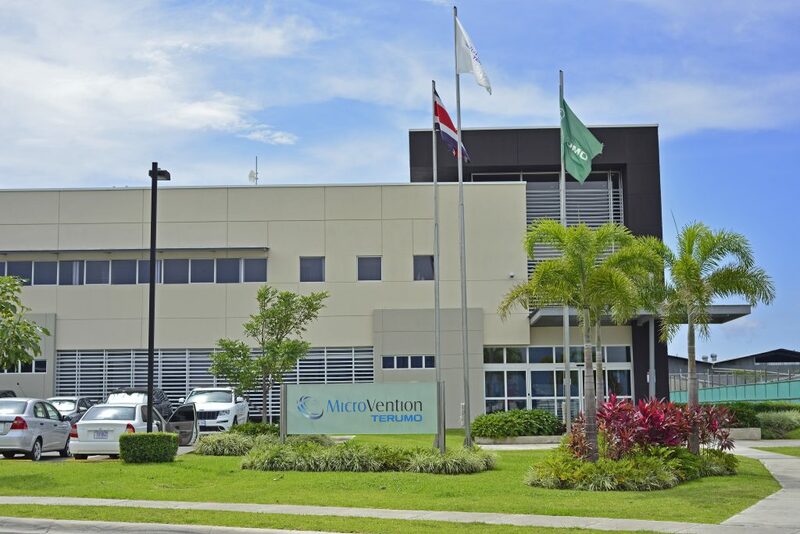 Microvention-Terumo announced it will be doubling its production capacity in Costa Rica by the end of the year and plans to expand its facilities and hire an additional 1,100 people starting at the beginning of 2019. The new facilities will be located in the Zona Franca Coyol, in Alajuela, and will house 80% of Microvention-Terumo production worldwide. MicroVention is a neuroendovascular medical device company that develops minimally-invasive devices for treatment of vascular diseases in the brain. The company exports medical devices such as intraluminal stents, occlusion balloons, platinum coils and flow diverters for the treatment of strokes, aneurysms and neurovascular diseases. MicroVention was founded in 1997 and is headquarered in Aliso Viejo, California. More information on job openings at Microvention-Terumo can be found here. For all job opportunities at the Coyol Free Zone click here.